Is the SPG American Express free night voucher worth it? 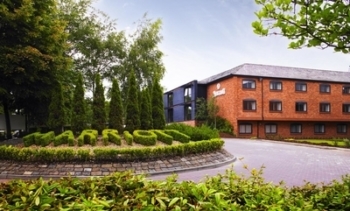 There are now 48 UK hotels (up from 4!) 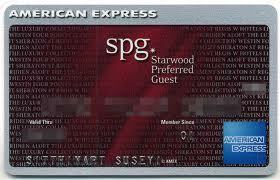 who take your SPG Amex free night voucher – but is it a good deal? American Express has announced two changes to the Starwood Preferred Guest American Express credit card in the run up to the merger of SPG and Marriott Rewards next month. One change is a statement of the obvious – the earning rate will move from 1 SPG point per £1 to 3 ‘new scheme’ points per £1. This is in line with the 1:3 exchange rate being used by all other ex-Starwood partners. The second change impacts the free night voucher that comes with the card. Before I get to the details, I just want to run over the card again because this is the least-understood member of the Amex’ ‘miles and points’ portfolio. The SPG American Express card could have become a strong No 2 in UK loyalty credit cards behind the British Airways American Express Premium Plus. Unfortunately, the benefits package just failed to hit the right note. Where did this benefits package go wrong? It is the free night benefit that really confused me. Unless you can charge business expenses to a personal credit card, I think that you would need to be earning £150,000 per year in order to make £25,000 of discretionary spending on an American Express card. This substantially limits the market for the Starwood card, assuming cardholders intend to trigger the free night. No other UK credit card requires such a high spend target to trigger a reward. And no other spend-related reward is so useless. There were few decent SPG properties in Europe in Categories 1-4 which would accept the voucher. The ONLY UK hotels in Category 1-4 are the Sheraton Skyline, Sheraton Heathrow and Aloft at the Excel conference centre and in Liverpool. These are not, to put it mildly, top weekend break destinations! Even then, it is only one free night. At a weekend. It is unlikely the cash cost of such a room would be more than £100 – a poor return on £25,000 of card spend. What is changing with the free night voucher? As I noted above, at present there are a grand total of FOUR UK hotels where you can use the free night voucher! You can of course use it globally, at any Starwood hotel which costs up to 10,000 points per night (so 30,000 ‘new scheme’ points equivalent). From August, the free night voucher will be valid at any Marriott or Starwood hotel costing up to 25,000 points per night. This is nominally a downgrade, since at present it is valid at any hotel costing up to (the equivalent of) 30,000 ‘new scheme’ points. I don’t want to dwell on the downgrade element too much, however, since many lower-standard hotels are getting cheaper under the new scheme. Three of the four UK hotels currently bookable with the voucher will remain bookable – only the Sheraton Skyline at Heathrow falls away. Whilst the free night voucher will only be valid at hotels costing up to 25,000 points per night (compared with 30,000 points now), there is a LOT more opportunity to use it because the Marriott portfolio is also available to you. This is obviously a substantial improvement – we have gone from 4 UK hotels where you could use your free night voucher to 48. However, the point of my original argument still stands. Spending £25,000 on an Amex card is NOT easy – and your only reward is a free weekend night at a relatively low-rent hotel …..
Should you consider getting the SPG Amex card? The sign-up bonus is 10,000 Starwood Preferred Guest points. This increases to 11,000 points if you use a refer-a-friend link – email me at rob at headforpoints.co.uk if you want a link. 10,000 SPG points convert into 10,000 miles with 29 airlines, including Avios and Virgin Flying Club. In the merged SPG / Marriott scheme, it will be worth 30,000 points. Used for hotel rooms, you should get £150 of value from that. You only need to spend £1,000 within 90 days to receive the 10,000 Starwood points (30,000 ‘new scheme’ points) as a sign-up bonus. This should not be tricky for most Head for Points readers, given that the BA Premium and Gold / Platinum cards have far higher thresholds. Now that Emirates, Etihad, Lufthansa, American and United no longer have UK credit cards, the Starwood Preferred Guest Amex is the best way to earn miles in these programmes. There are also 20+ other airlines who never had a UK credit card, such as Air Canada and Qatar Airways, where this credit card is the best way to earn miles in the UK from day to day spend. This card looks so weak compared with the US version. It indeed could’ve been one of the best in the UK market because of the flexibility/high value of SPG points. If I sign up for this card now but complete the 1k spending after August, what kind of welcome bonus would I receive? Is it 30k points in the new program or something else? Thanks!